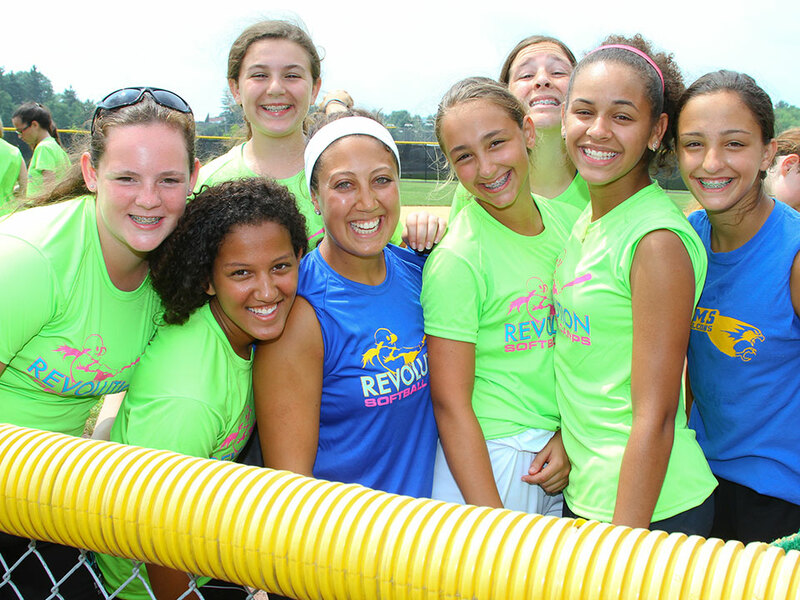 You must bring your best, and that’s what we vow to do at every Revolution Softball Camp. Revolution Softball Camps individualized training is what truly distinguishes us from our competition. Softball drills are important, but they can get boring quickly. That is why we incorporate the softball drills, with individualized instruction as well as daily scrimmages to help your player grow and be the best player she can be. Our energetic and knowledgeable staff will make sure not only is she learning in a safe environment but having fun too! The Revolution Softball Curriculum will consist of focusing on individual skill work in all phases of the game. From batting, fielding, pitching, and baserunning, day & overnight softball campers will drill in the morning and apply what they have worked on into some of the scrimmages in the afternoons each day. Our Revolution Softball Camps are run and directed by some of the best college softball coaches in the country. Each director complies a staff made up of current and former college softball players, assistant coaches, head coaches, travel ball coaches, and high school varsity & junior varsity coaches. EXCELLENCE – We inspire our softball campers by providing an unforgettable experience that is the result of a dedicated staff, a progressive instructional curriculum and superior customer service. IMPROVEMENT – We provide a unique opportunity for day & overnight campers to improve their game through personal attention, setting goals and an energetic staff that is committed to the individual development of each camper. 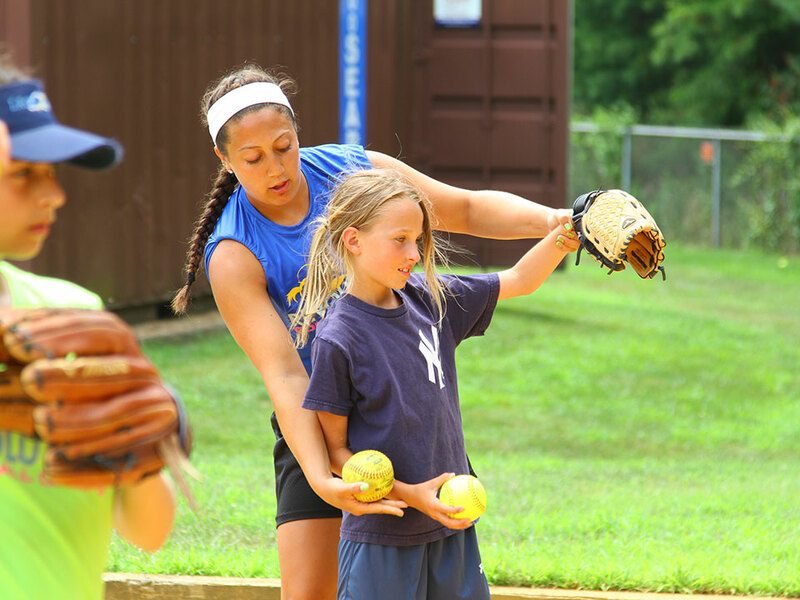 SAFETY – We promote a safe and healthy softball camp environment by providing a responsible staff that supervises all camp activities and who are trained to be role models for our campers both on and off the field.